Vince has spent over 25 years in property development. 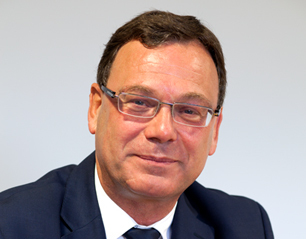 His initial training was in agency with Weatherall Green & Smith following which, in the mid-1980’s, he began to concentrate on the development sector. This has taken him from the experience of working direct for end users in the site acquisition departments of major companies such as Sainsbury and Tesco, to gaining wider experience in all development sectors, largely in the UK, but also overseas, with Rosehaugh plc, the Rotch Property Group, Carter Commercial Developments Limited (then a subsidiary of Swan Hill Group plc), Raven Mount plc and The Santon Group which he joined in 2000. Vince’s experience has included working on several million sq. ft. of development on a variety of schemes ranging from town centre and out of town retail, M25/M4 corridor offices, industrial small units and large distribution warehousing, to large scale leisure and residential master-planning. In the last 8 years Vince has been a member of The Santon Group team, one of whose key projects has been to concentrate on building food stores and distribution warehousing in conjunction with a FTSE 100 retailer financed by HSBC and RBS. As at January 2011 the fund had completed 46 food store schemes totalling some 4 million sq. ft. of gross retail floor-space together with 3 major distribution warehouses totalling another 2 million sq. ft.